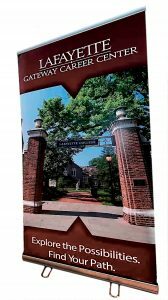 Lafayette’s Office of Career Services is now Gateway Career Center. The new name reflects the office’s mission and vision to play a key role in students’ lives over their four years at Lafayette. Gateway Career Center embraces the College’s signature career-exploration program, Gateway, and is paired with the tagline “Explore the Possibilities. Find Your Path,” which reflects the journey students take from first year to senior year. The ultimate goal is to engage with more students and help them understand all the tools and resources available to them. “We believe this name change will communicate the work our office is doing to build stronger connections with our students, faculty, alumni, parents, and employers,” Summers says.